Day 26 of my World Cup 2018 concept series, Serbia. I’ve gone with a slightly deeper shade of red than Serbia have used recently, mainly because I wanted it to tie together with the colours in their crest better. Added a tonal-vertical-arrowy-stripe down the middle of the jersey to break up the solid color a little, and finished it off with white and gold trim. 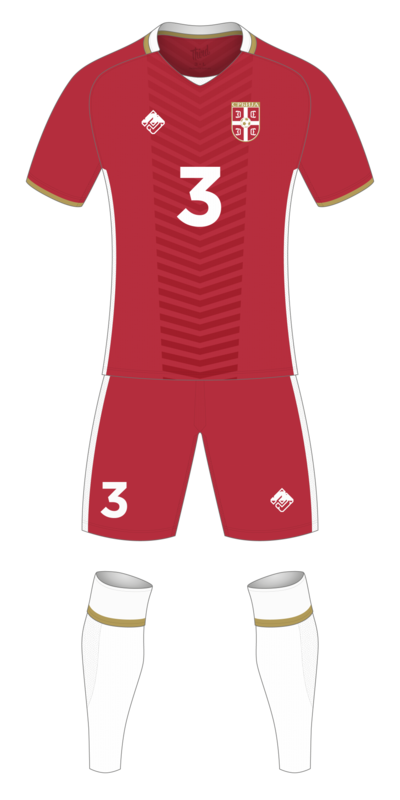 Red shorts and white socks complete the kit.